The Waldorf Astoria spa was recently awarded by Conde Nast Traveler as the #1 Spa destination in the world and also received Boutique Design magazine's infamous Gold Key Award. 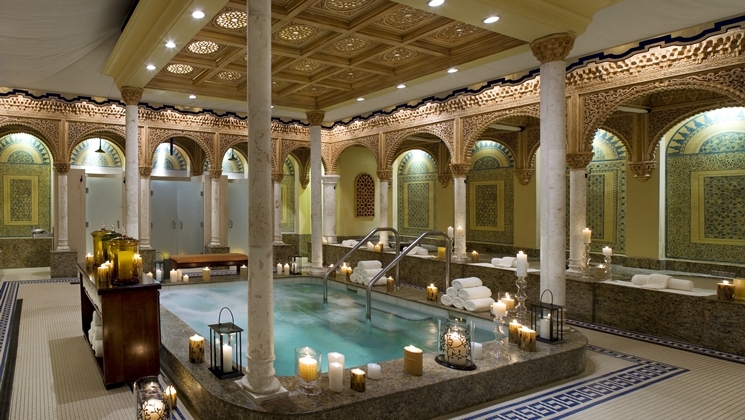 Inspired by Spain’s legendary Alhambra Palace, the award-winning Waldorf Astoria Spa is a joyful symphony of palatial gardens, grand arches, carved stone, smooth marble, handcrafted tile, elaborate mosaics and cypress woodwork. The spa features nine individual mineral baths, waterfall showers, whirlpool, steam, sauna, 44 treatment rooms and complete salon services.